Hunting wild boar, real European, in Reserve ON Canada. Wild boar hunting Wild pig hunting preserve. 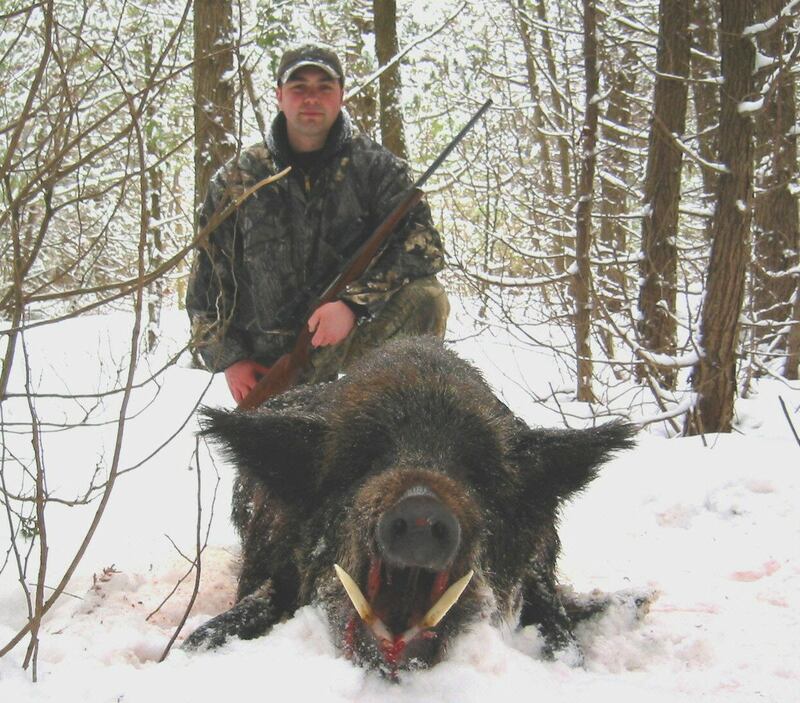 Wild pig hunting close to Ohio NY USA, Ontario. The art of cooking wild boar is difficult to find in the average cookbook. Cooking game is rumoured to be difficult. Good recipes are rare. However, cooking wild boar is easy and extremely rewarding. Wild boar is the game of kings and noblemen! No medieval feast was complete without wild boar on the table. The following is a sample recipe specifically for wild boar meat cooking. Wild boar is very tender when done properly, and at the same time, much leaner and healthier than pork. The traditional way to cook wild boar is almost well done, but we prefer it medium or medium rare. Rose hip jam or cranberries will go well with the wild boar. For wine, a dry red wine is a good choice. Cabernet sauvignon my favourite! We hope you will enjoy this recipe! Joyful cooking! Make a marinade from the wine, water, cloves, juniper berries, bay leaf, pepper corns, and celery and marinade roast overnight. Dry roast, salt lightly. Sear roast in oil in pot. Strain leftover marinade and pour over roast. Cook thoroughly over medium heat. Remove roast and slice. Keep warm. Again, strain remaining marinade from the roasting pot. Mix cream and flour thoroughly and add to marinade in pot. Add cranberries and let cook until thickened stirring constantly. Spice sauce to taste with salt and clove powder and pour over sliced meat. Oh well, can't cook the wild boar before you get it first! 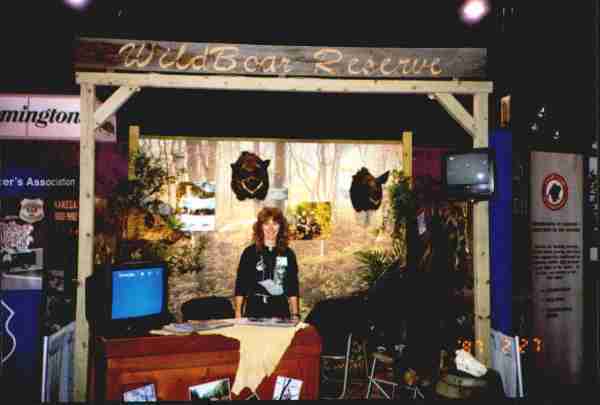 Come on over for an exciting wild boar hunting adventure. Prepare your spirits for the feast of kings which only comes from that exquisite wild boar dinner. Trust me, it is well worth it!